2. Enable the “Password Self Reset” option. If you already did this, you may proceed to step 5. 3. Log in with your TARS user id and password. 4. 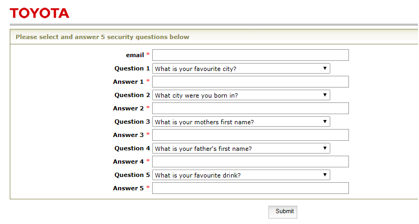 Set-up your security questions and click “Submit”. 5. On the homepage, click “Password Self Reset”. 6. Fill in the required fields and click “Continue”. 7. Answer the security questions and click “Submit”. 8. You will receive your new password via e-mail in the next couple of minutes.